"4/5! This instrument is an almost endless source of unique sounds." "9/10! It's a powerful tool to have at your disposal." 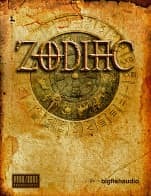 "4.5/5! 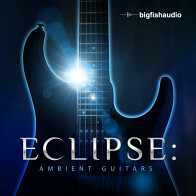 An instrument that has come into its own and pushed the boundaries of how you interact with a hybrid instrument." "4/5! Bottom line, it’s very flexible and fun to work with!" 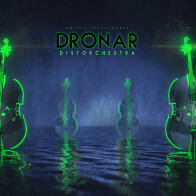 "This part alone [AARE] makes all of the other sound design tools I have at my disposal obsolete." 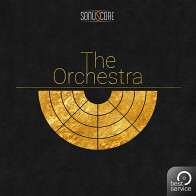 Sonicsmiths present a new tool for composers and sound designers. 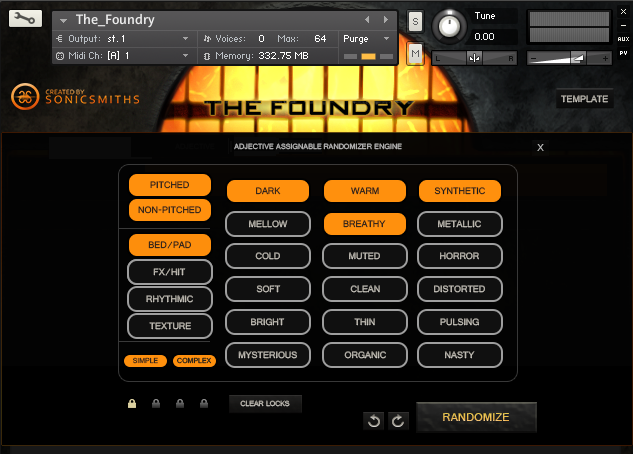 Based in the Native Instrument's Kontakt engine, The Foundry is a sound design creation tool, drawing from over 18,000 samples, 19+ GB of sample content (12+ GB compressed), and trillions of ways to manipulate and combine the sounds. 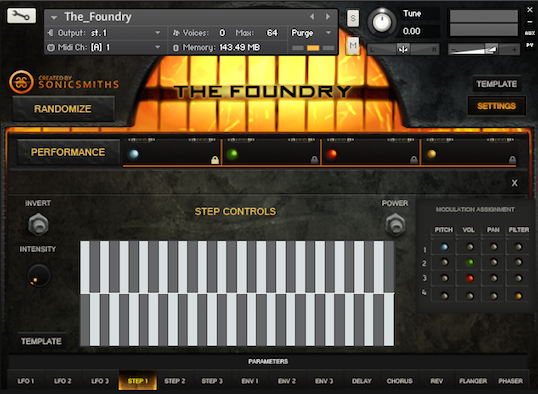 Never settle for presets again; The Foundry creates original patches using the groundbreaking AARE algorithm. Rhythmics and FX sound sets can create unique and quickly-designable rhythms, or, along with tonal beds/textures, can create amazing lead lines and creative chordal patterns. 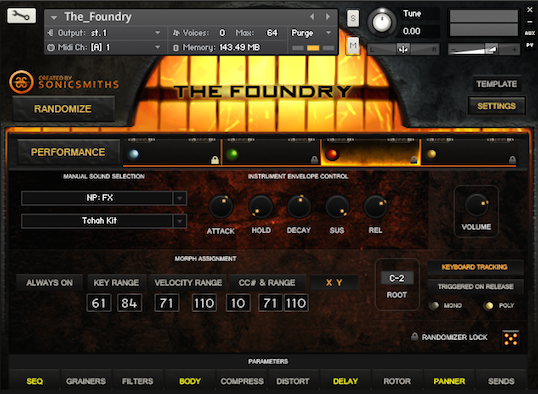 You can load up to four different “core” sounds into The Foundry. Each of these sounds has independent processing, manipulation, and can be morphed via the X-Y Pad Designer, key range, velocity, or CC. Use the	X-Y Pad Designer to create, save, and sync playback to your own modulatable pathways. 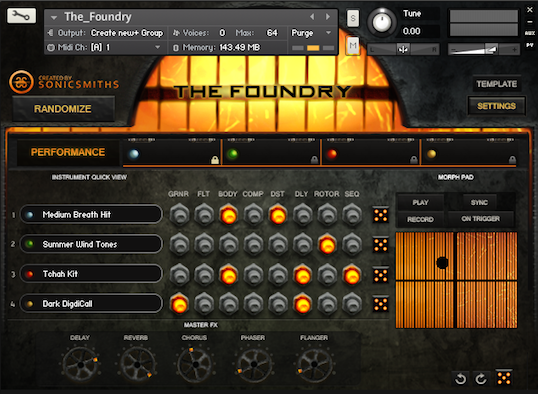 The Foundry has 4 different groups to select from: Beds and Pads (tonal sustained layers), Textures (atonal, moving material), FX (single one-shot hits, FX, and short articulated instruments), and Rhythmics (sonic “kits”). These groups range from Non-pitched to Pitched, and Simple to Complex. 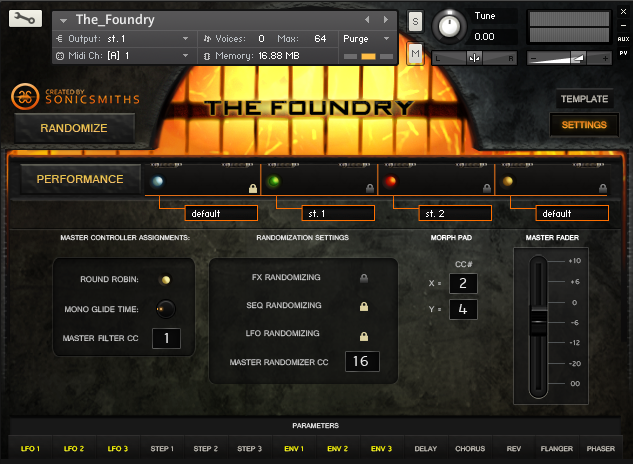 The Foundry is a third-party library, based in Native Instruments' Kontakt Engine. 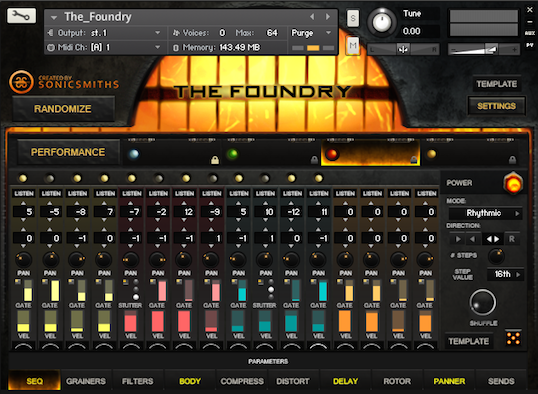 In general, whatever is listed on NI's Kontakt website for the current version will be the machine requirements for The Foundry. 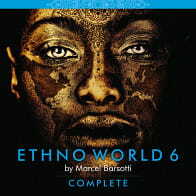 We can give recommendations, but are ultimately bound by the system requirements of Kontakt Player Engine. We highly recommend running the Foundry on a computer with SSD drives for optimal performance. 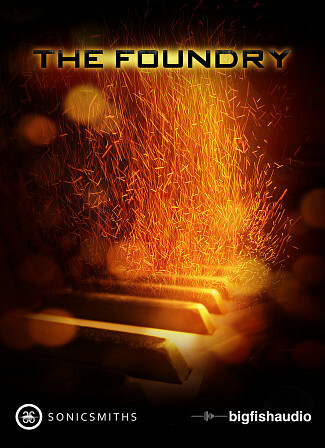 The Following End User License Agreement is included with Foundry, The. This License is only valid for the individual who has purchased an unopened, new and lawfully made copy of Foundry, The from a dealer or distributor authorized by Big Fish Audio.